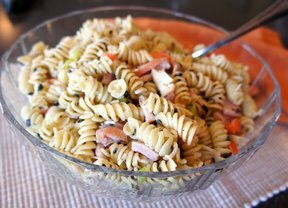 A very tasty pasta salad, been a family favorite for years. 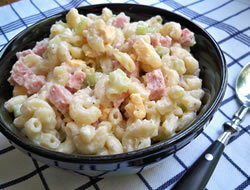 Mix with other ingredients and refrigerate, best if 24 hours. 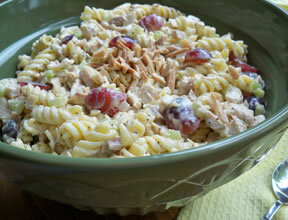 "This salad has a sweet but tangy flavor. 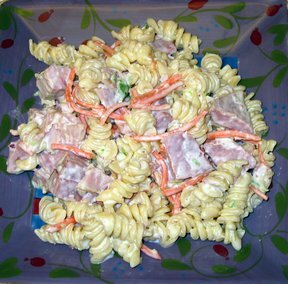 It was good but a little sweeter than what I normally like in a pasta salad. I made it exactly as stated but could have used 24 oz. of pasta and still been moist. Makes a very large batch."